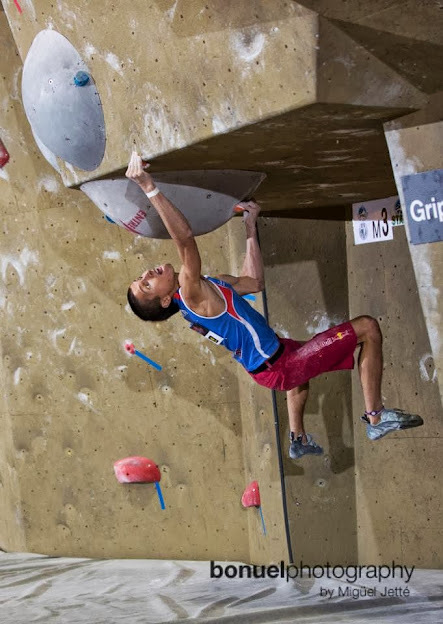 Here are my impressions from boulder world cups in Toronto and Vail, 2013. Please leave your comments. How should I start?.. There is something that you shouldn’t know: this is how I was training before Canada and USA. Otherwise you will fell pity for me. Finally I had to go over the ocean to collect the medals. I asked Dutch climbing team to join for the trips to Canada and America. Since then I felt myself almost like in the Dutch team. I arrived to Toronto earlier than Vera and Wouter, so I met them in the airport. We took the car and went to the small city Hamilton. I was excited about next day way more than about competitions: we planned to go to Niagara Falls, which are better to see from the Canadian side. Day was full of happiness and fun. Falls are amazingly beautiful! The water is fresh and falls down so slowly and softly, it attracts you to jump there, maybe mostly because of the warm weather. The day of competitions came. Climbing gym is located in very strange place, but everything turned out to be better than we expected. The only thing that influenced the results is the heat and stuffiness. At the end of qualification the weather became cooler and guys were climbing better (yes, it happens as well). Without much effort I’m in semifinal. Vera is also in semifinals; she is very happy and infects me with this happiness. You became one team when you are happy for each other. But there is very tough next day, everyone should be prepared. Competition becomes more difficult, you have to put more effort than is necessary for a route to calm your mind and fell secure. I know this is not the most right way! Fight and again fight, public is extremely supportive, I bear and do what I can. And I’m in the final! I felt relief, already couple of competitions were not going well for me. I already started to feel myself wrong. You know this feeling, when couple of times you made a mistake and you don’t want to try again? Because then you will have to explain to everyone that your mistake was just an accident. I decided to behave as real American: don’t give up and try again and again. Maybe you know that initiative is encouraged in USA. With this optimism I came to the final, but I already forgot how to compete in finals: made lots of silly mistakes. After finals I made 5 pull ups on each hand, there was no fatigue at all. Here are my conclusions: I left battlefield with intention for revenge. And again, public was aggressively supportive. Sometimes athletes were fallen down under this pressure. Sean was very good! But the most supportive for me were words from Wouter: “Davai davai Rustam!” He was saying it with strong accent and very positive intention. Already from the first day in USA I lost my dream about cabriolet. 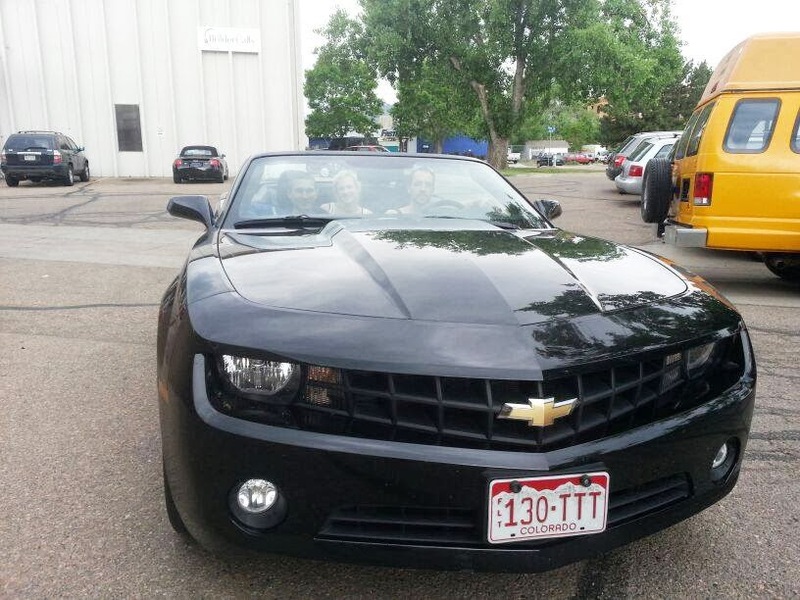 We rented very modern cabriolet: it was windy and uncomfortable, especially for passengers. Couple more training days, Vail is very nice and hospitable. I should remind you that Vail is located in mountains; you feel the height especially while training. Not enough of oxygen, you may feel dizzy. I was prepared for that, it is my 4th time in Vail! I was training endurance; that should help. Let skip unimportant parts: qualification and semis. Finals! I’m ready as never. I always remember Russian fairy tale, when strong man wanted to put stake into earth so he can put it upside down. I was feeling the same way. I thought, if I couldn't do the route, no one will be able to do it. Apparently it was exactly like that. Dutch team and me went to the real American adventure next day: horse riding over the rocks and hills. Since then I like horses much more. We went to do some shooting in the second part of the day and my dream came true. I was shooting from big and heavy revolver, as in cowboy’s movies. Thanks to Vera and Wouter for such nice adventure. Thanks to public for support! Who else should I thank? Of course Roman! More than 50% of the result – his work. And 30% of my power was added by Dmitriy’s presence. At the end, I’m not that strong 🙂 But that was enough to leave with silver medal and be ahead from other by 2 routs. Notice, it is final! More about competitions you can read here. This entry was posted on 25.06.2013. 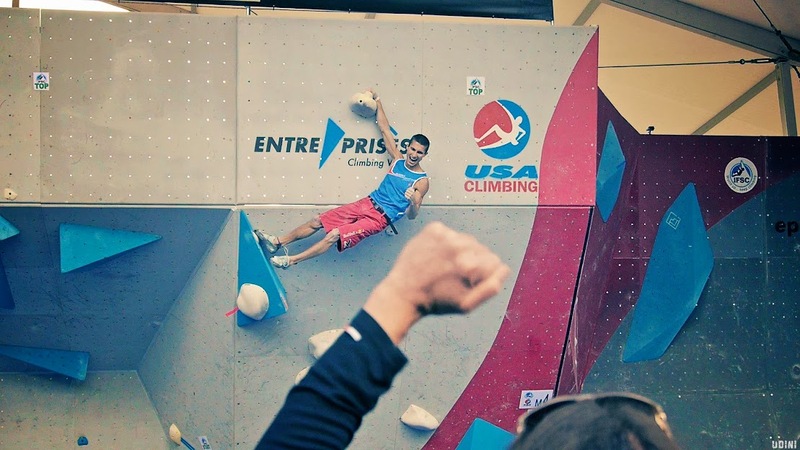 It was filed under Climbing, Competitions.